Creating a new Window object and displaying it using the Show method results in a new window in your application that is independent from any existing windows. The new window can be minimized and maximized independently and gets its own icon on the taskbar. 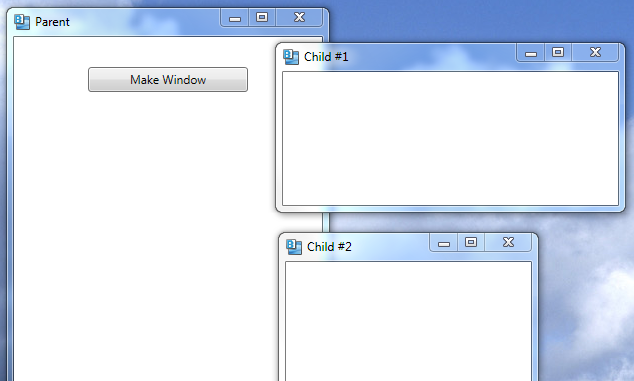 WPF supports the notion of parent/child relationships between windows. You set up the relationship by setting the Owner property of the child window to point to the parent.